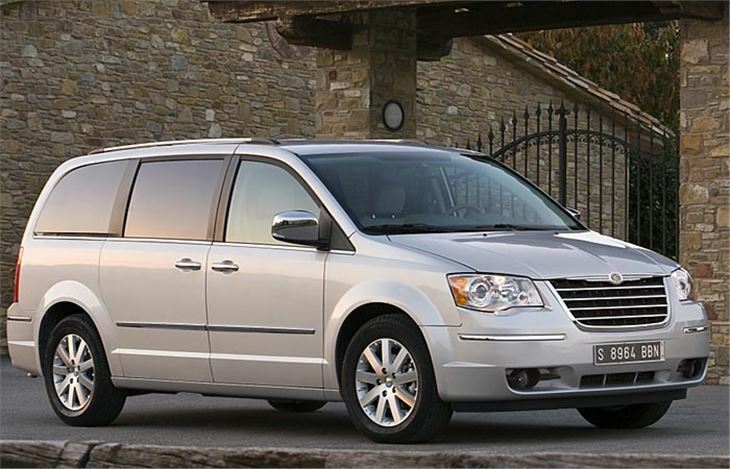 The Chrysler Voyager is one of those cars that’s been around for such a long time that it’s easy to forget how many of them are now running about. In 2008 the car was totally redesigned, and somewhat ‘poshed up’ at the same time. If you want a new one, it will wear Grand Voyager badges and be stuffed with kit. 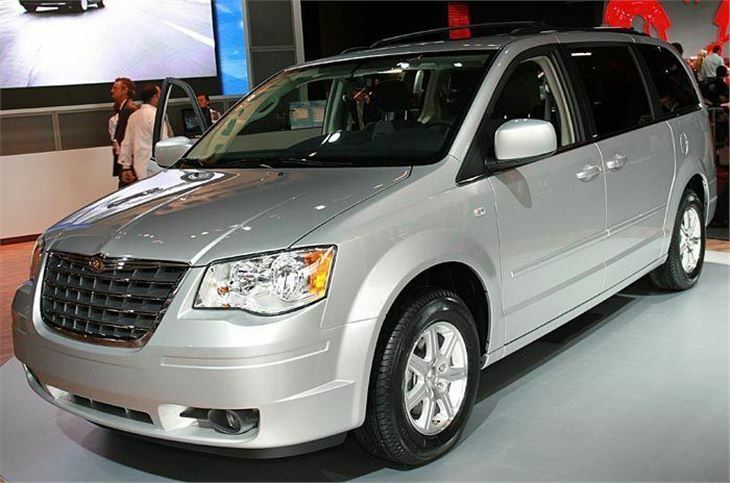 The market segment once occupied by the old, un-Grand Voyager is now taken by the current Grand version’s stablemate, the Dodge Journey; a car that by some way is the least dodgy produced by that moribund brand. 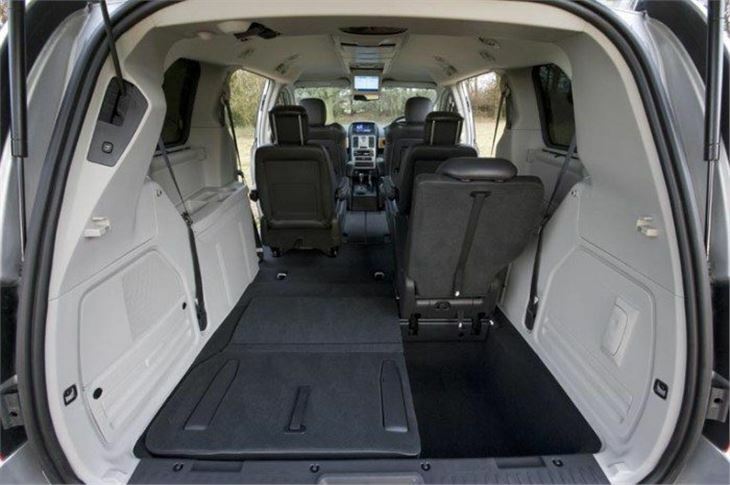 The seven-seat Grand Voyager now sits in a small but definite market niche for plush, big people carriers. It’s the sort of thing well-heeled families might buy instead of a 4x4 or a big estate. It’s also aimed at chauffeur and private hire companies who employ cars like this use to flog around town or ferry business types from airports to hotels and conferences. In its latest incarnation the car looks a little squarer than before, with familiar Chrysler styling touches including a large, deep, grill, and is visually inoffensive. 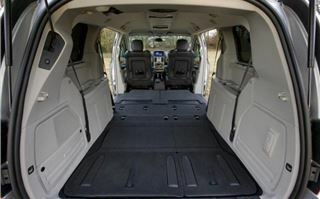 Chrysler made the old Voyager for years, and by the end of its life there were complaints that it was less than fantastic in a prang, so it comes as little surprise that the new one is loaded with safety kit, including a plethora of anti lock-brake and traction control systems, and an endless array of airbags, including two big, side curtain bags. 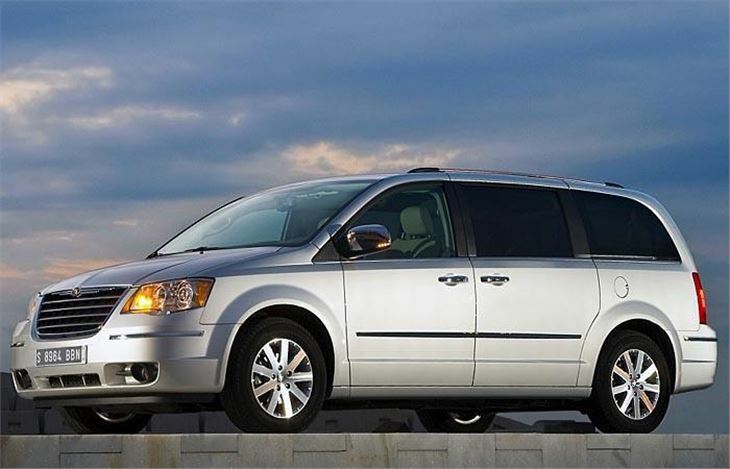 The Grand Voyager is a good example of the vehicle packager’s art. 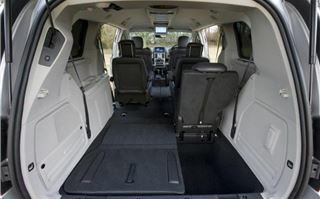 The two rows of rear seats collapse directly into big floor recesses that have folding covers and work as storage areas when the seats are in place. Chrysler calls its system ‘Stow ‘n Go’ (never mind) and it works well. Your technophobic correspondent could make the seats go into most of the myriad positions they’re designed to achieve without resorting to the instruction book. 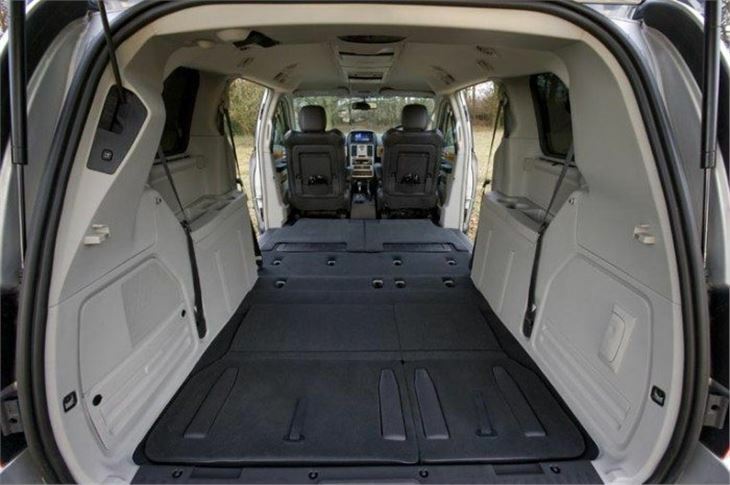 The idea is that you don’t have to haul out hefty seats to create load space. Our test car was the £33k, bells and whistles Limited version, and its rearmost seats had equally twit-proof electric seat actuation. They demonstrated a form of ergonomic origami by folding and swinging round in such a way that people can sit on them with their feet dangling from the tailgate. Ideal for picnics. As for the way all this is built, well this car is an American consumer durable, which means there’s a mild but tangible cheapness about some of the materials and elements of its detailing. This doesn’t make the Grand Voyager badly made, but the way it’s screwed together doesn’t have the classiness Audi or even Toyota owners might expect. 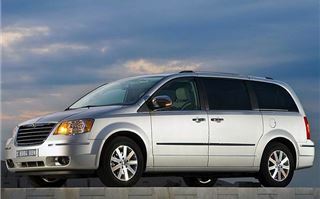 A relatively high mileage driver who switched cars every three or four years probably wouldn’t care, but anyone driving a Grand Voyager in the middle of the next decade might see it starting to fray a little at the edges. Still, the car will have plenty of toys to take their minds off the odd wobbly bit of plastic. Space precludes describing them in huge detail, but the tailgate is electric, as are the sliding rear side doors, which have the novelty of electric windows. 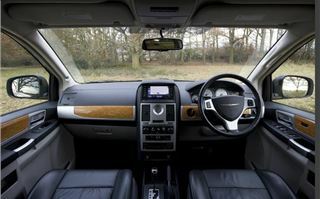 Rear passengers can control their own climate, and the various in car entertainment systems should keep the most fractious family entertained. The optional twin folding rear video screens can show different movies, games, etc. You can buy this car with a 3.8 litre V6 petrol engine, if you’re a bit odd, or go for a 2.8 litre diesel four-cylinder, which will account of 99 per cent of demand. Both are mated to a six-speed automatic transmission with manual override, actuated by a rather distant floor-mounted selector. The auto box works unobtrusively bar a very slight surging sensation around town. The engine is willing and provides plenty of low speed pulling power and punts the car along decently the rest of the time. It’s a bit vocal under hard acceleration, but has that diesel knack of quietening right down on motorways. 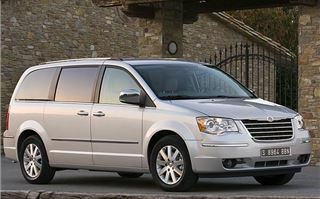 Chrysler claim it hits 62 in around 12 seconds and runs out of puff at 115mph. Dynamically the Grand Voyager won’t frighten the horses. It rides very well, steers accurately enough, and doesn’t roll to excess. It’s hard to find anything interesting to say about what it does on the road really. This is a big car with light controls, a commanding driving position and decent vision. End of story. If you’re looking for a large, well equipped diesel people carrier this is currently just about the newest thing going. To say it does the job sounds like faint praise, but really it isn’t. 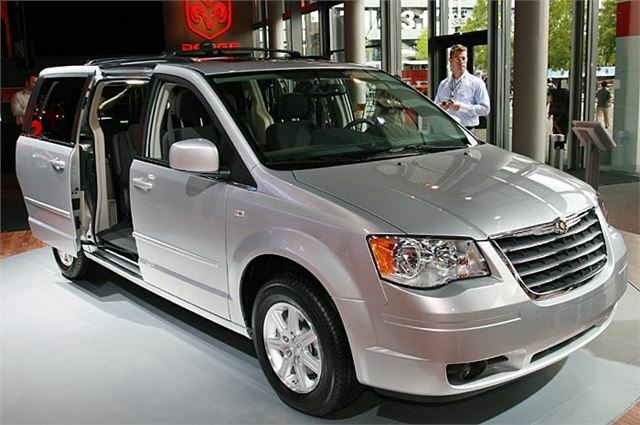 The Grand Voyager knows its market, and knows how to satisfy it.